Home / how to / How To Create a Blog Page ? How To Create a Blog Page ? An about us page should be at least 300 words long. It must contain information about the services and products offered by your website. It should be concise and appealing. Also, an About Us page is a must requirement for getting Adsense approval. Read our About Us page for more understanding. A sitemap is very important for a blogger as it enables the google to easily crawl your website. 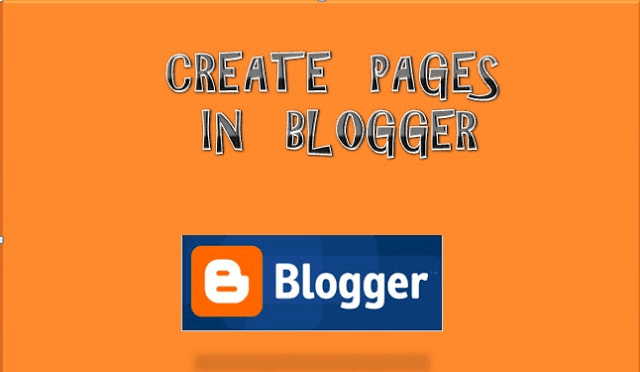 It is a must add page for any Blogger. Read this article to get full knowledge on How to add sitemap in your blog? This page just provides a description of the Terms of Service that you want your visitors to accept and follow. Also, you humbly request your visitors to follow those terms and act accordingly. This page is optional and its totally your wish if you want to include it in your pages or not. But for those who offer some kind of products or paid services, then this page is a must! This page contains the information regarding your copyright on your website as well as the information, content and/or products and services offered by you. You should have a copyright page. Visit our Copyright Policy Page to know more. Under Disclaimer, you write about the things on your website for which you do not take any guarantee so that in future no one sues you for making any wrong claims on the information you offered on your website. Therefore, it is a must page for all! Read our Disclaimer and find out what kind of guarantees I am talking about. So the list has now ended. These were the pages you need to publish on your website and the information you need to provide in them. Any Questions? Ask me in the Comments below.